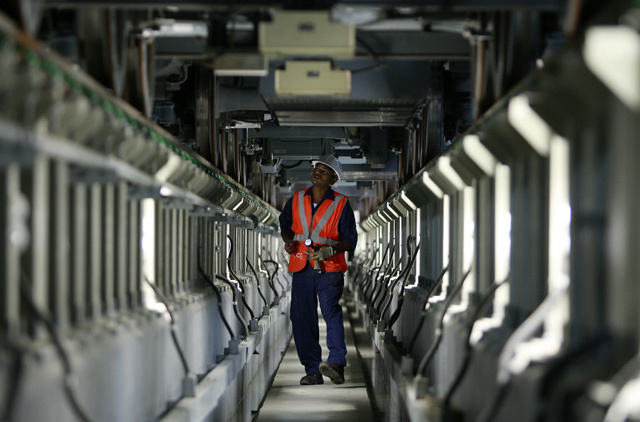 Dubai: It takes 400 engineering and technical staff and 200 cleaners to keep the Dubai Metro trains tidy and operational every day. The maintenance and cleaning staff work at night when the Metro service is stopped and the trains start moving to the depots in Al Rashidiya and Jebel Ali at opposite ends of the Red Line. Gulf News obtained exclusive access to train sheds, maintenance and cleaning yards, and repair workshops in Al Rashidiya Depot to find out how the trains are kept in prime condition to serve thousands of passengers every day. 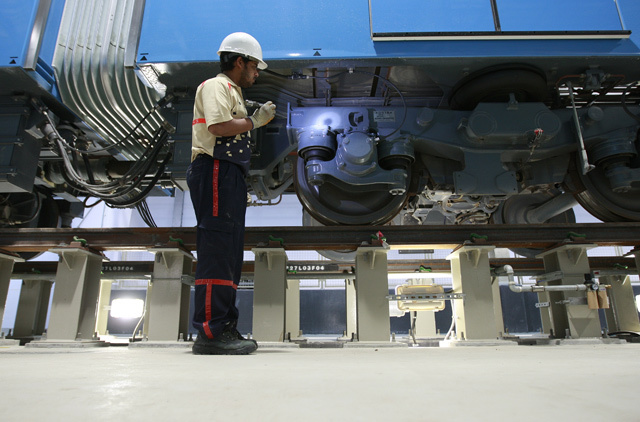 "Every train is thoroughly inspected once every three days," said Ali Abdul Qader, Director of Rail Maintenance Department at the Rail Agency of the Dubai Roads and Transport Authority (RTA), who gave Gulf News a guided tour of the various maintenance and repair facilities. 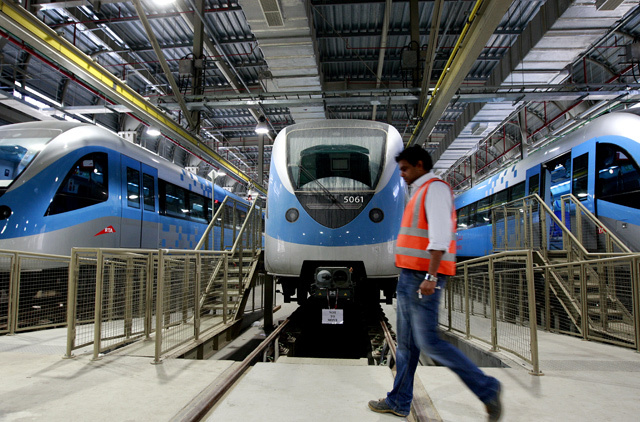 Serco, the UK-based company that operates the Dubai Metro, is responsible for performing the maintenance work on trains while the contractor Dubai Urban Rapid Link (Dural) which built the Dubai Metro, is responsible for repairing major faults in trains in the first three years. 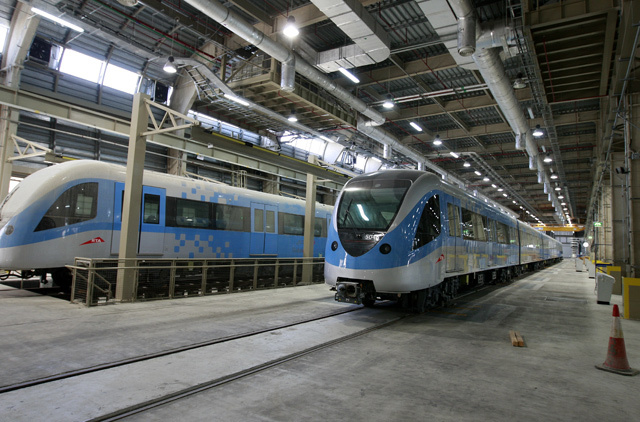 As soon as the Metro service stops at night, the trains start moving to the sheds in Jebel Ali and Al Rashidiya Depots. 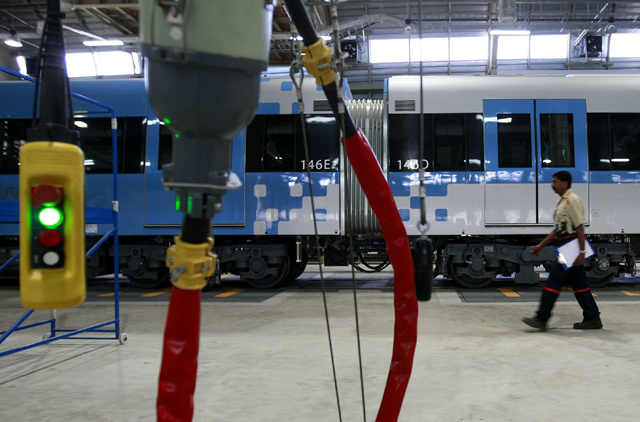 Though all the trains are cleaned every day, each train is washed once every three days in automatic washing bays. It takes five to seven minutes to wash a train. "Our washing procedure is environment-friendly as we use 80 per cent of recycled water for every wash," said Qader. Every train is brought to the light repair workshop once every three days for a full inspection. 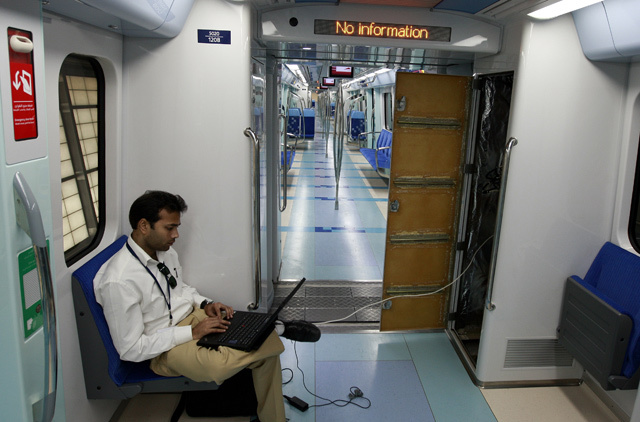 Inspection is done by engineers through a computer system called Train Control Monitoring System (TCMS). Most of the maintenance, cleaning and inspection is done between midnight and 4am. "Trains are ‘put to sleep' at night and we ‘wake them up' at around 4am and prepare them to go back on the track. A sweeping train is also run on the track to ensure its safety before operations commence," he said. The track is also physically checked by engineering staff every two months. An ultra-sonic test is done every six months to check the fitness level of the track. "We also check trains manually by inspecting the lights, braking system, wheels, information display system and automatic doors," he added. There are three levels of inspections. The first takes about two hours and is carried out once every three days. The trains also go through eight hours of inspections once every three months and two days of thorough inspection every six months. This is aimed at maintaining track-worthiness and ensuring safety. All these inspections and maintenance are carried out in the light repair workshop. "We don't compromise on the maintenance and ensure very high standards of keeping the trains fit to ensure safety of the system and the passengers," Qader said, while urging commuters to ‘respect' their ride — the trains — and take care of them because it takes a lot of hard work to maintain them. He, however, added that Metro users are very responsible commuters as incidents of vandalism are rare. "We do find some scratches, but no graffiti which is quite common in other countries," he added. The depot also has a heavy repair workshop. "We don't need to do any major work for the first three years because we have brand new trains and the most modern maintenance facilities," Qader said. A huge warehouse containing spare parts is also attached to the heavy repair workshop. "We have enough spare parts for the first three years, but so far have not used any," he added. One of the interesting sections of the maintenance depot is the wheel inspection section where the wheels of every train are checked once every 15 days. 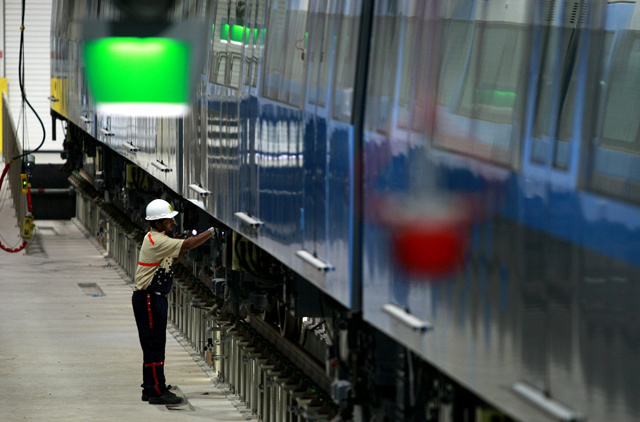 "Every thing including the movement of the rolling stock [trains], washing, cleaning and inspection of trains is computerised and programmed. Human interference comes when there is something to fix or change," Qader said. A special shed called the Diesel Engine Workshop contains train towing machines and track repairing equipment. "We did not use these machines so far but we shall be using them in future to repair tracks or to do any maintenance work on the Metro lines," Qader said, adding that they have special vehicles to tow trains on the tracks in case of a breakdown and failure to drive them manually. He added that due to the high quality of the maintenance, train availability has been 100 per cent all the time since the launching of the Metro service. Presently, some 22 trains serve the Red Line during peak hours while 16 trains are used during off-peak hours. The RTA has already got delivery of 79 trains. Once both the Red and the Green Lines are fully operational next year, some 44 trains will be used while gradually the number of trains will increased depending on the passengers' demand. 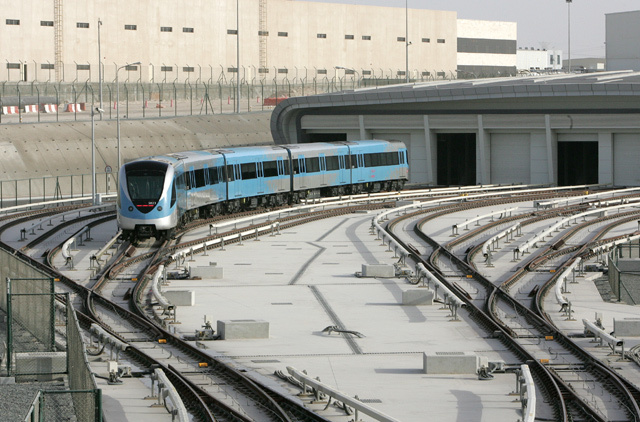 The Dh28 billion Dubai Metro project has two lines both covering a total length of 76 kilometres. While the 52.1-kilometre long Red Line opened on September 9 last year, the Green Line is expected to be operational next year. 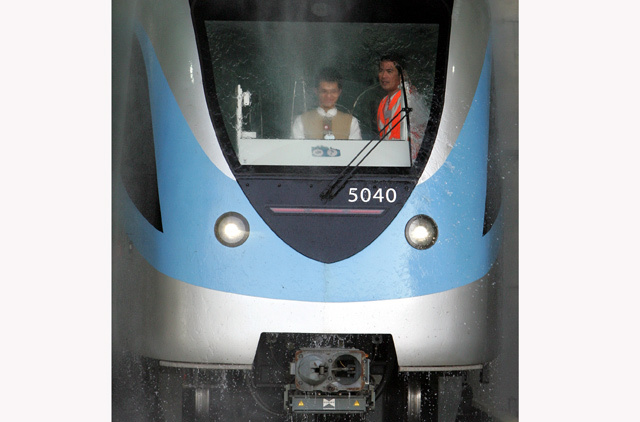 Qader said that Emiratis are also being trained in the train maintenance department. "We have experts, consultants and engineers from around the world but we are also training Emiratis in this field," he added. 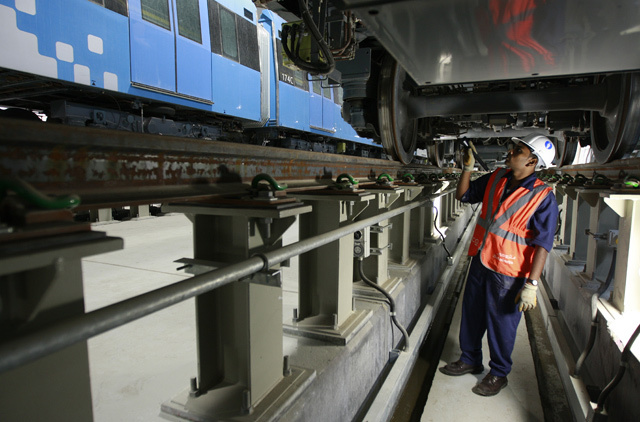 While the Metro operator does the maintenance work, the Maintenance Department at the RTA makes sure that they are fulfilling the contractual obligations. "We are using the world's most advanced state of the art technologies that guarantees the highest standards and excellence in the safety, reliability, efficiency and punctuality of the Metro service," Qader said. He added the overall performance of the Metro trains is continuously evaluated to ensure that optimum standards are met with particular emphasis on delivering the best possible service to customers. This includes a rigorous and regular review and monitoring of the punctuality and availability of the trains and equipment in the stations, such as: elevators, escalators, ticket vending machines and platform screen doors. Hours of train washing, cleaning and maintenance: 12 midnight to 4am.